Here at Nintendo Life we do our best to keep you entertained with a diverse range of news, reviews, features, podcasts and music shows. We've been missing one thing, though: a Nintendo Life Book Club. There's a lot of game-based literature out there, so we thought that the bookworms out there would like to chill out with a novel when gaming becomes too much. Opening the doors and playing host in the first meeting of this new club is reviewer Philip J. Reed, better known as @Chicken_Brutus. Well, it's Castlevania Week here at Nintendo Life, and being a fan of the series myself, I was wondering how to celebrate it. Play through a few of my favourite games, perhaps? No, too obvious. Write a heartfelt article about how effective the original game was at bringing limitless worlds of dread to life with primitive hardware and soundscapes? Nah. Eviscerating a crappy novelization of the second game while starting an all-new book club? In the early 1990s, a man then known as F.X. Nine (and now known as Seth Godin, though he’d rather you didn’t remind him of any of this) released a series of novels under the Worlds of Power banner. They were written by different authors, but they all bore the name F.X. Nine on their covers. F.X. 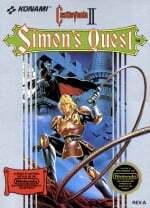 Nine heard their pleas loud and clear, and brought down from the mountain 10 sacred video game novelizations, one of which was Castlevania II: Simon’s Quest, which I will look at today. 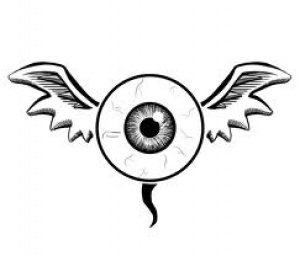 “I see you!” said the eyeball. Just to reiterate, this is intended to make you want to read the rest of the book. It looked as though Count Dracula was going to win the battle. This raises an interesting point, actually. The Worlds of Power books notoriously whitewashed the games they novelized, removing violent or frightening elements lest they corrupt the young readers who have already encountered this stuff in their respective games and were thus, obviously, corrupted already. But how do you solve a problem like Dracula? Dracula is basically a walking and talking element of fear and violence. And unlike Dr. Wily, for instance, Dracula is a legitimate cultural touchstone. People know him — and know an awful lot about him — without ever having necessarily read the original novel or seen any of the adaptations. Even the youngest schoolchild knows he drinks blood, so why is it rendered as “spirit” here? Who is that meant to protect, exactly? It turns out that the fight we’re witnessing is the end of the first Castlevania game. No, literally... it’s the end of the actual game. The novel opens on the hero of this story, a fourteen-year-old boy named Tim, trying to beat Castlevania before going to school one morning. 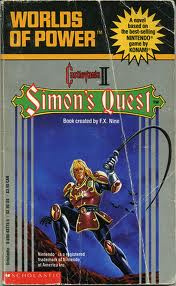 Anyway, yes, much as Bram Stoker’s “Dracula” features surprisingly little Dracula, the novelization of Castlevania II: Simon’s Quest features very little Simon. He’s there, but our hero is Tim, because, hey, haven’t you always wished that Castlevania was actually about annoying, candy-obsessed misfit children who make bad puns and get in the way of their heroes? Tim successfully makes it to school on time — which I’m sure had you all on the edge of your seats — and he is quickly confronted by a bully named Burt. The bully is upset because his girlfriend, Carol Jance, apparently asked Tim where she could get “discount rates on video game cartridges.” Even worse, Tim, that dog, told her. Fortunately for Tim, he forgot to go number two before he left the house, and that saves him from getting beaten up. While in the bathroom, Tim meets Simon Belmont, because hey, why not. That’s not even the weird thing about this scene. The weird thing about this scene is that despite Worlds of Power’s insistence that the book’s content be totally violence free, F.X. Nine saw nothing wrong with Tim meeting a strange adult man, dressed head to toe in leather, hanging out in the boy’s bathroom at a junior high school. Never mind. We’re reading into this exactly enough. 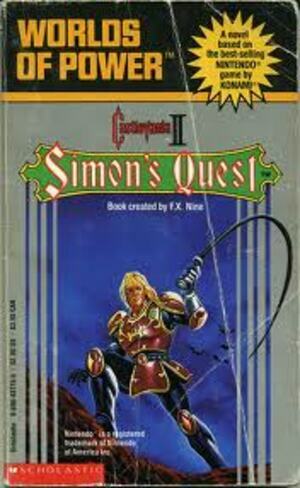 To Tim’s credit, he’s at least skeptical that this is actually Simon Belmont. To his greater discredit, though, he still lets the stranger take him to a bar! Yes, he’s done his research. He’s done so much research that he knows Simon never had a girlfriend and he could say anything he wanted here. Tim, ever the paragon of good sense, accepts any answer other than “I don’t know” as proof positive, and the two whisk off to Castlevania. Yes, “Castlevania.” Even though the game takes place in Transylvania. Wow, you’ve done your research, Christopher Howell! ...um ...well, Howell never really figured out why Simon would need Tim in Castlevania, so we don’t actually find out. There’s a lot of boilerplate palaver about bravery and being the chosen one and so on, but since a representative scene involves Tim tripping over his shoelaces, making a bad pun about being “head over heels” and then eating chocolate while Simon does all the work, these half-hearted explanations don’t exactly fit. How did I miss out on these amazing books back in the day? Cool. Are we going to see any article comparing the Series roots the Metroidvaina games. or a look at the N64 games. Great feature @Chicken_Brutus - reading this had me in stitches. I can't wait for the next one! I did a book report on this book when I was in the 6th grade. I made a poster for the project. On the poster I had the 5 body parts of Dracula and maybe I drew Simon and the castle or something, if I didn't throw that poster away maybe one day I'll come across it (Chances are it's long gone). I'm not sure if I actually read the book or not, I remember reading some of it. The teacher wasn't very happy I read a book based on a video game. The next year when I read a book based on Back to the Future it went smoother. I played the card of I didn't know there was a movie. It was a fine piece of acting, lol. Man, @Chicken_Brutus, you get all the bad jobs. lmao hilarious read like usual Chicken. oh man this is funny, the book sounds horrendous, but the narrative of one @Chicken_Brutus is hysterical!!! 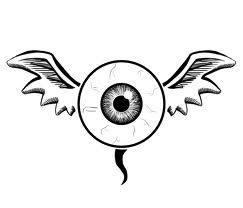 Guys watch this, the guy is awsome! This needs to be enshrined in the pantheon of greatest Castlevania-related sentences ever. A really funny article Phil. I almost want to read the book myself, to truly absorb its awfulness. @shingi_70 - There are a couple more articles lined up, probably for Thursday and Saturday. They're in the works. I never knew these books existed! But now that I do, I am so happy that I missed out on them as a child. Samus said, "Bradley, come with me to Metroid!" "Well, if you really ARE Samus Aron, who's your girlfriend?" "Wow, you've really done your research! Well, okay, then, Samus..."
I'm not sure if I owned Simon's Quest, but I definitely owned Blaster Master. From what I've just read, the review is better than the book. LMAO. Ha Great review @Chicken.Your writing is excellent.This book isn't!! Looking forward to more of these. We all go to Castlevania when dropping babies off at the pool. OK I'm confused. Hah, that was hilarious! Great job @Chicken_Brutus I loved reading this. A book club eh? Well, I hope they review some of those Mario Adventure books from the 1990's. I was thinking about buying one! I think I just ate my stomic insid out and swalowed my throte ffromm reeding this paeg. I want to see more of these horrible books! Ironically, this review has made me want to read this book more than any review of any book has in the history of ever. That book sounds terrible but at least a hilarious review came out of it. Wow! Someone kind of unearthed some dark un-treasures here from the depths of video-game obscurity. @NintendoLife: While you are starting up a video game related books section, I have a request: I remember as a kid, there was a series of five Mario-themed books which were basically loose knock-offs of the "choose-your-own-adventure" series. 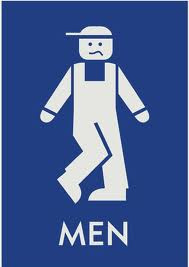 Except that they involved a certain fat, mustached plumber or two. I can't remember for the life of me the exact titles, but the series was liscensed by Nintendo, and there were five books in total. I had the privaledge of reading two of the books as a kid after my mom ordered them from a Scholastic catalog. It would be cool if someone from the Nintendo Life team could hunt them down and review them. 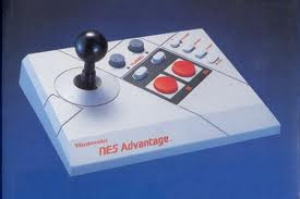 LOL I actually owned this when I was a kid. Fantastic read (this page, not the book), many thanks for the feature. I had the kind of parents that could have easily picked up this book instead of the game for me (had they known of it) in order to channel those video game interests into something more mentally healthy, like reading. Amusingly enough, this book could surely rot a child's brain twice as fast as gaming. This may be the funniest article I've ever read. Love the dry wit, Chicken Brutus, sir! You should make a pretty penny reviewing awful books! Very hilarious, Phil. Thanks for doing your research. These 'Worlds of Power' books... they shall be mine. That's the absolute worst book ever made, par none. Thanks for the comments, folks. And as for the Mario Adventure books...I had at least a few of those as a kid. If I remember correctly, it wasn't as simple as "deciding" where to go next...you had to solve puzzles, and based on the answer you got you'd be told where to go. Actually pretty cool, in theory at least. I'll try to track a few of those down as well. For now though...we still have a bunch of Worlds of Power books to "enjoy." "Yes, of course. That’s why Simon’s out to rid the land of the curse of Count Draculay, and in other scary stories the heroes are battling Frankensteiny, the Wolfmay, hordes of zombays, and the Mumm... oh okay. That one works, actually. You’ve done your research!" FRANKENSTEINY, GET ME A DANISH!!! I once read books based on Super Mario Advance and Zelda Oracle of Seasons. They were choose your own adventure style and fateful to the plots of the games. This allowed them to advertise the books as some kind of walkthrough. I found them to be as good as was possible given the source material. The Zelda one suffered from skipping half the dungeons, however. Many Internet memes have been born! Ugghh... I remember this book. I bought it for a 10 hour car-ride for a family vacation. Just flat out awful on every level. It guaranteed that despite being a young Nintendo junkie I would never pick up a Worlds of Power book again. Hell it was so bad I'm surprised I ever picked up a book again. I found this book at a book sale yesterday and thanks to this article, I just had to pick it up. I love how hilariously bad it is.